Daily Link Fix: Dog-Sized Trailer Homes for Your Beloved Pet; Floating Library Is Now Open! Move over Uber, Lyft and Hailo, SheTaxis are coming to NYC. The New York Times reports that this e-hailling app service will only have female drivers for female riders. Proving our point that Staten Island is the new cool place to live and play, Thrillist featured a list of 11 reasons why you shouldn’t dismiss the oft-forgotten borough. Because your little pooch only deserves the best. 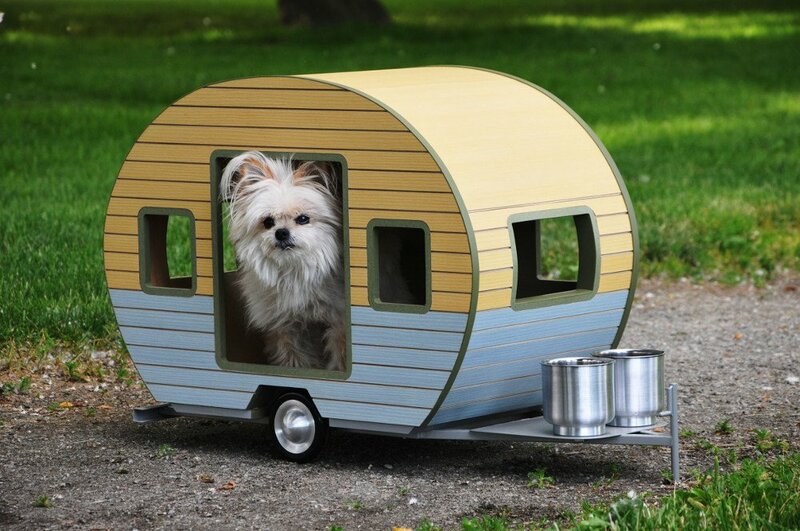 Check out these spiffy, yet functional and fully customizable dog-sized trailers made from eco-friendly materials on Freshome. All board the 81-year-old steamship to visit the Floating Library! AM New York reports that for the next four weeks, the Lilac Museum Steamship will be home to the pop-up, mobile device-free public space.